The term marine snow might sound like an oxymoron, but it’s the phrase given to the dead marine organisms that float to the bottom of the ocean and pile up over time. This flurry of marine matter can resemble falling snow, and it plays a crucial role in capturing carbon and producing oxygen. Over time, these deposits of matter form thick layers of carbonate. 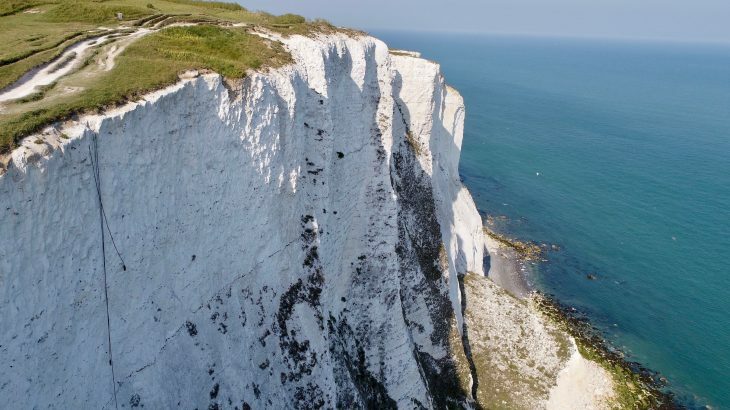 The White Cliffs of Dover in the UK are the perfect example of how these carbonate structures form over longer periods. Because marine snow captures and stores carbon, carbonate helps cool the planet. And now, researchers from the University of Sydney have created a model of marine snow and carbon accumulation in the ocean over millions of years. Read more here at this link.